Vezhlivy Otkaz – Go to it!.. My second foray into the weird and wonderful world of Vezhlivy Otkaz, which translates as “Polite Refusal” comes with this 1992 album re-released last year by distributors AltrOck. If Geranium, my first encounter with The Polites is anything to go by, then I am in for some entertaining if head-scratching music. Once again we are treated to a sumptuous tri-foldout case containing a CD and DVD, housed in a box, and contained within a lengthy description and analysis of the work on a folded multi-sheet essay, in both Russian and English. 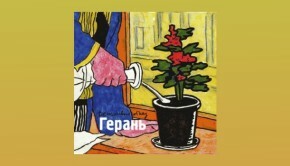 The band themselves describe Go to it!.., a collection of minimalistic largely instrumental pieces based on traditional folk and dance structure as “cold… sophisticated, and infinitely far removed from the Soviet people”. As I may have indicated in my Geranium review, these people take themselves very seriously indeed. There is practically no trace of irony in this work, and its dryness draws a parallel to classic Russian literature. The music is very intricate, but with a delicate lightness of touch. Contrapuntal rhythms and entwined arpeggios abound as the band shift through the various themes. The pieces presented here are based on moods rather than melody, although the result is definitely melodic, oddly enough. Leader Roman Suslov “dispensed moods” to the individual musicians, “dragging characters… into a pseudo-dancing language”. 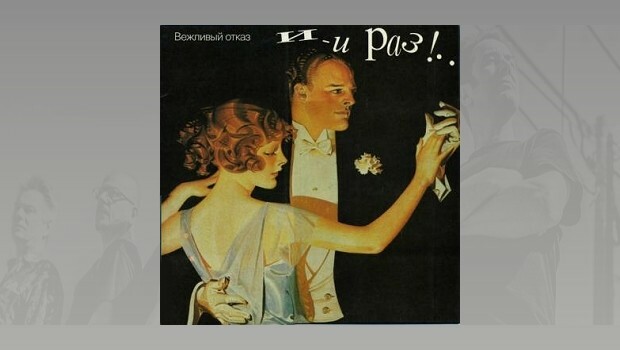 Some of the album was adapted from an earlier release, Ethnic Experiences, and Intro is one, composed entirely on the piano by Suslov. Revel Charleston is a dedication to a former resident of Tallin, the former name for which translates as “Revel” in Russian. The man in question was composer Leonid Soybelman, leader of fellow avant-rockers Ne Zhdali, who along with Otkaz were deemed worthy to share stages with Fred Frith and Cris Cutler on their visits to Moscow in 1989. Quite frankly the long essay is more interesting than the music, which has an air of austere sterility to it, until we get to Waltz with its faux-Germanic declamations… is that humour raising its head? Surely not! Go to it!.. is unfortunately not nearly so engaging as Geranium, but the DVD does bring the music to life, featuring as it does TV appearances and concerts from Moscow and Berlin. This album is worth buying for the DVD alone, but as with Geranium I would assume that the market for it is strictly limited, not that the wilfully iconoclastic Suslov and his comrades would care a jot! This is one for the serious avant garde collector, or maybe a music professor setting up a course on post-Soviet non-commercial music.